Mrs. Bonnie Louise O’Neil, 84, passed away on Tuesday, September 11, 2018 at Magnolia Manor in Moultrie, Georgia. Funeral services will be held Friday, September 14, 2018 at 7:00 p.m. in chapel of Albritton Funeral Directors with Rev. Lester Allen and Pastor Chris McPherson officiating. The interment will be held Saturday, September 15, 2018 at 2:00 P.M. in Sherwood Memorial Park, 6841 Tara Blvd, Jonesboro, Georgia with Dr. Ben Langley and Rev. Terrell Hopkins officiating. The family receive friends on Friday from 4:30 to 6:30 p.m. at the funeral home before the services. Mrs. O’Neil grandsons will serve as pallbearers. 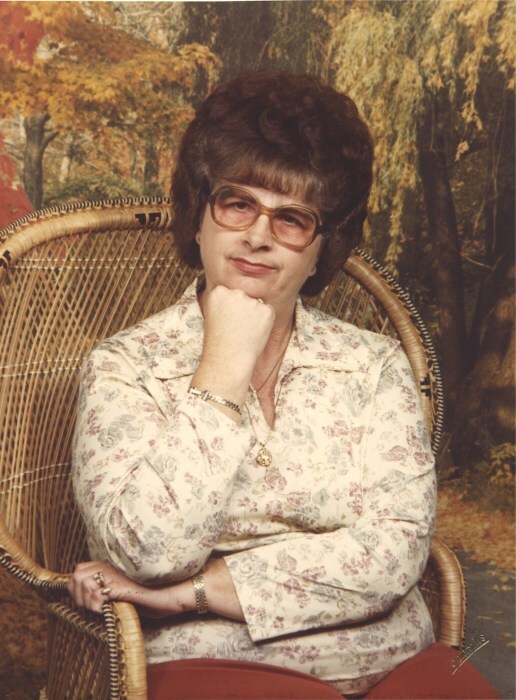 Mrs. O’Neil was born December 11, 1933 in Turner County to the late Arlie and Callie Parks. She was married to John Roy O’Neil, Sr., for sixty-six years. In addition to her parents, she was preceded in death by her son Joseph O’Neil; daughter Esther Sellars; her brothers Howard Parks, Frank Parks, David Parks, Ardith Parks; her sisters Ruth Harvey and Callie O’Neal. Mrs. O’Neil was a member of Cross View Baptist Church in Moultrie and a homemaker. A pastor’s wife she was the Mother of six children. She enjoyed word search puzzles, cooking pecan pies, game shows, collecting dolls and the Atlanta Braves. She loved her family and was faithful to her Lord. She fulfilled her biblical role in supporting her husband in his ministry. In addition to her husband, she is survived by two daughters and sons-in-law, Linda and Carl Beaty of Walland, Tennessee, Paula and Tim Donnelly of Fayetteville, Ga.; two sons and daughter-in-law, John O’Neil, Jr., of Townsend, Tennessee, Douglas and Michelle O’Neil of Maryville, Tennessee; ten grandchildren; sixteen great grandchildren and two great-great grandchildren. In lieu of flowers, donations to Bible Fund of Help Ministries, PO Box 1489, Pilot Mountain, N.C., 27041.